Sorrento is a playful city, bursting with life and fun. Passing the 2013 New Year in Sorrento means to be in places with dreaming landscapes, but even enjoy a fun and charming nightlife. 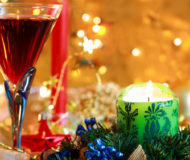 The many pubs and restaurant of the city offers new year’s party, celebrations and concerts in order to welcome the new year in a fun and pleasing way. You can wait the midnight in Sorrento in various ways: you can wait with your friend in discotheque, at the pub or in a restaurant, or maybe just walking in the street through the various places of interests of sorrento. After the midnight you can celebrate the new year making a toast with champagne and looking at the beautiful fireworks that makes Sorrento even more beautiful, the perfect place where carve out some romantic times with your loved one. Sorrento offers various places with breathtaking views where you can see the sunrise of the 2013’s first day, and starting your new year in a prefect way. Description: Choose Sorrento for 2013 New Year: celebration, concerts, new year's party and art exhibitions.